Can fences be mended in the Drakes Bay oyster debate? SHELL SHOCKED The future of Drakes Bay Oyster Company is in the hands of the U.S. Supreme Court. One day soon, the fight over the fate of Drakes Bay Oyster Company will end. The family-run aquaculture farm, located within the Point Reyes National Seashore, has been operating in legal limbo since 2012, when then–U.S. Interior Secretary Ken Salazar closed the door on a push, led by U.S. Sen. Dianne Feinstein, to extend the popular farm's lease for an additional decade beyond a disputed federal order to cease operations by 2012. Salazar's move prompted a set of legal challenges by the Lunny family, who owns the oyster business but not the land or Drakes Estero, which is owned by We the People. "We didn't have a guarantee," says Kevin Lunny, who purchased the business in 2005. "We don't have a right to renewal. It is OK to hope that it is renewed. That is not a crime." But the legal avenues to keep Drakes operational are running out. Two years after Salazar's ruling, and numerous court dates later, "we're toward the end, there's no question," says Lunny. Much of the court battle has hinged on the farm's environmental impact on the Estero. The fight over the oyster business has pitted sustainability advocates against save-the-wilderness folks—people who otherwise would find themselves in basic agreement over eco-issues. But the conflict has also been a lightning rod for right-wing activists and politicians to play out their ideological longings for a less intrusive federal government. Louisiana senator David Vitter, for example, took up the cudgel of support for Drakes Bay in 2013, offering legislation that would have green-lighted the XL Keystone Pipeline, and kept the oyster farm in business. Proponents of closing Drakes Bay see moves like Vitter's as part of an effort to maximize private profits at the expense of the public—and see the Drakes Bay case on a slope that is quite slippery. "This is really an effort by industry to open up public lands and waters for uses that would go against what taxpayers purchased years and years ago," says Neal Desai, Pacific region associate director of the National Parks Conservation Association. Drakes' fate is in the hands of the U.S. Supreme Court. A last-ditch petition to the high court is all that stands in the way of Lunny being compelled to begin removing traces of his business from the land and water. One main thrust underpinning the Supreme Court petition is a recent 9th Circuit Court of Appeals ruling that Lunny's lawyers argue created contradictory interpretations of federal law, a "circuit split," that only the Supreme Court can resolve. The high court fields upwards of 10,000 petitions a year and generally accepts 1 percent or fewer of them for legal review, says Desai. "The truth is, we know that it is a long shot," Lunny says. "But there are legal analysts who are looking at this; our case is meritorious." The "circuit split" argument, says Desai, indicates that Lunny's legal team is "completely reaching for straws now." Whatever the outcome, there's been a lot of bad blood spilled in West Marin along the way toward a final resolution. "The more local you get, the more it becomes about relationships and not about the values that hold our social fabric together," says Desai. The West Marin Environmental Action Committee, the lead local environmental organization pushing for the facility's closure, has had its offices vandalized twice, says executive director Amy Trainer. Lunny, meanwhile, has faced accusations that he's in the tank with the Koch brothers, a charge that arose when he accepted legal help from an organization called Cause of Action, which PBS and others reported had ties to the right-wing oligarchy-enablers. More recently, the Koch-funded Pacific Legal Foundation has been providing pro bono legal work on Lunny's behalf. 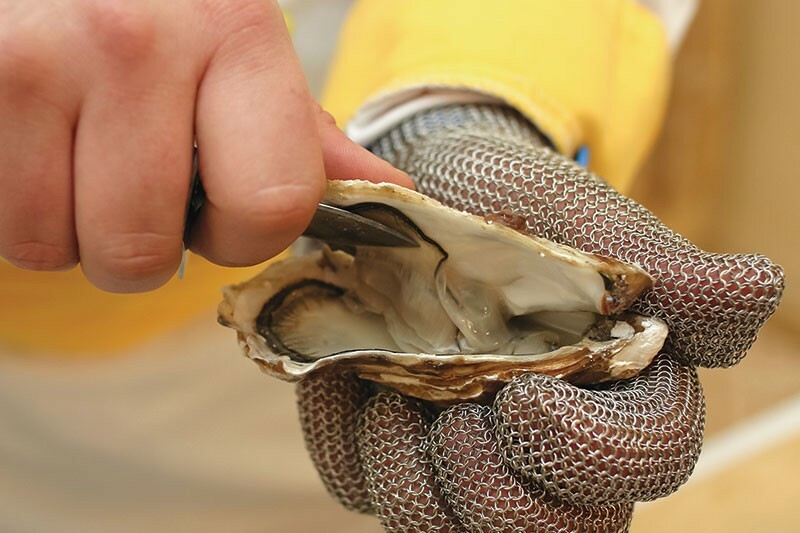 Lunny also has high-toned sustainability advocate Alice Waters on his side, as well as numerous Bay Area restaurateurs and residents who have enjoyed Drakes' oysters for decades. The farm has been in operation for about 80 years. However it ends, "the healing is going to take a lot of time," says Trainer, an Inverness resident. She and Lunny at least agree on that. "I'm really interested in rebuilding relationships with the [National] Park Service," says Lunny, who also owns a ranch near the oyster farm. "I had a great relationship with them over the years, and we want to rebuild that," he says. Lunny is less certain he'll be breaking bread with Trainer's Environmental Action Committee any time soon, whether or not he prevails in court. "Ranchers won't even talk to them. It's going to take a while."